If we all had a magic wand, how would we use it and what would we create? Patricia Barnett, a REALTOR®, licensed broker and network marketing business coach believes that within all of us are dreams yet to be fulfilled and opportunities yet to be created. 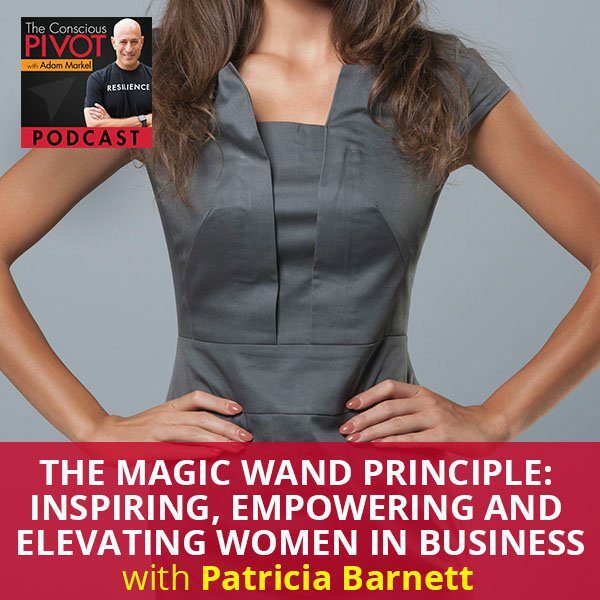 After being diagnosed with a life-threatening health challenge, Patricia created the Magic Wand Principle to empower people to create and fulfill their own dreams and possibilities. She shares her passion of inspiring, empowering and elevating women to achieve whatever they desire, especially in business and network marketing. Her life mission is to hold space for people, standing in the gap of where they are right now and where they would really love to be. I am so happy to be here with you. I feel blessed to be here in the divine presence of another person that I absolutely love, so I get to share someone with you in this podcast episode. Before we go there, I just want to remind myself as well as all of you how blessed we are to be able to take this breath, to be able to share a breath together. What a sacred moment. It’s a reminder. I remind myself all the time that as I’m experiencing this breath right now, there are people who are taking their very last breath and I don’t look at that as a sad thing. I just see the opportunity that exists in this moment for all of us. I feel very lucky and fortunate. I hope that as you’re doing whatever you’re up to, whatever you’re doing, whether it’s work related or you’re driving or you’re running or you’re doing something else, that hopefully is bringing you joy in this moment, that you can experience joy, peace, harmony, love and appreciation for the fact that we get to be here. I absolutely adore this lady and known her not very long, less than a year at this point. I met her at a CEO Space event that I go to quite frequently with some dear friends. Her name is Patricia Barnett. Thank you so much for being on The Conscious PIVOT. At long last, we’re here together and that is exciting. Welcome. Happy to be here, Adam. What we know is that it’s all in divine timing, all in perfect timing. I absolutely love how you opened, this idea that this breath, this collective breath that we get to have together, that we’re so blessed to be in the midst of this presence and to have this opportunity to have a day. I believe that today is the first day of the rest of our lives. In this, we have the opportunity to have some very profound shifts, even profound pivots, and this has the opportunity to really be a game changer for someone who’s listening in who is ready for a pivot or maybe in the midst of a pivot. It’s an honor. Patricia, would you share a little bit about your background and what it is that you’re doing now? What are you passionate about? Where are you putting your energies and your love? I’m just so passionate about my work and passionate about what I’m here to be, do and create in this lifetime. That is to inspire, empower and elevate especially women in business and in the field of network marketing. I’m working right now focusing in on those women to really achieve the level of success in which they desire. We have a lot of coaches in the industry and I work with a lot of coaches as well. My passion is to help create the space in place for people to thrive and to ultimately fly, and living their truth of living their dreams. I believe that our dreams are dreaming us, and there are so many dreams that have yet to be fulfilled, lived, and created. That’s what I’m here to do, to help people through the pivot process and stand for people in the gap of where they are right now and where they would love to be, because that’s what we’re here for, elevating. What I love is the accelerating in the idea that we can have the opportunity to leapfrog to be more and more and more that we’re called to be. That’s my work in the world. I have some special projects coming up and programs specifically for those types of people in those industries that will be released very soon. My passion is working with people and individuals, speaking, teaching, traveling, elevating and accelerating growth, and really putting the miracle grow on and teaching a formula of what I call the Magic Wand Principles. If we all had a magic wand, which we all do, how would we use that and what would we create with that? Is there a formula and could all things be possible? I say yes when we think in a certain way, act in a certain way and when we’re grateful all along the way. That’s my work. Our dreams are dreaming us and there are so many dreams that have yet to be fulfilled, lived and created. Has your life always been so neat, orderly, juicy and lovely? No. This is where we think about the mastery of being able to know this process or principle of having a magic wand and being able to use it effectively time and time again. My life has had times in which it’s been really tough and I have not always been on the path, and always been in an elevator, accelerating and on that rocket ship. Take us to a time where you had to pivot. You used the word pivot a couple of times, that’s lovely. I’m not sure that’s a part of your usual lexicon, although I know your husband went for a pivot at a certain point, which was pivotal for him. That was an interesting synergy, a serendipitous time a few months back when that occurred, so I’d love to check in with you on that. Let’s keep it for now to a pivot in your life. Whether it was recent or it was farther away than recent times, what was the situation? What happened? Where did you go and how’d you get from there to somewhere else? I don’t use the word pivot often, but I am here with the Master of Pivoting and he wrote the book on it. When we think about that word, coming into this time with you, I was thinking about times in my life when I have had that opportunity to pivot. I will take you to a place in a space. What is interesting to me as I look back, the pivots started as feeling like I was in a quicksand, totally stuck, how will I ever get out of here? That happened with an opportunity to have a health challenge. I had health challenges a lot of my life, this particular health challenge was one that I sit across the desk from a doctor, who said after a lot of diagnoses and a lot of opportunities to go through treatment, said, “You’re at the end of the rope here. We have one more shot. We’re going to bring out the big guns. The chances of you making it through this are far less than not. What I encourage you to do is go home and pray for a miracle.” That’s like, “Are you kidding me?” To be given that kind of news and to have had these health challenges that continued to mount it. It started as one thing and then went to another, until then I’m face to face with a doctor who has a diagnosis. The greatest thing about this part of my life story is I had an opportunity to work in this field of self-development, transformation, leaning in and getting to know the opportunity to believe or at least think that there could be a possibility of another way. I was in the midst of that conversation. The good news for me is I had been in the midst of this kind of conversation in growing a business in the industry of network marketing. I have 25 years experience in that industry. When I first got into that business, I didn’t have business experience, educational experience, no degree, no diploma. It was an opportunity where I saw that I could have the ability based upon the fact that there was an even playing field that I could go somewhere within that industry and in that business in a very short time. In two years, I reached the top of the company, six-figure income, top in the industry itself, and became a master trainer. In the conversation of living our dreams and creating what it is that we would love and that helped to elevate along with working with a coach personally and privately. What was the health challenge? It was a diagnosis, a type of Hodgkin’s lymphoma where it started as being one of the best diagnoses a person can have. Then it turned into a refractory diagnosis, which means it kept coming back and every time it would come back, it would come back bigger. That’s when they’d get the bigger guns and the bigger treatments, until finally I was in a stem cell transplant. I was in California at one of the great treatment centers for stem cell transplant where it was full body radiation, high-dose chemotherapy, and the opportunity to find the power within to know how to utilize all of the things that we speak about in this world of transformational leadership. In this understanding that it’s not only what we’re doing in our day-to-day life, it’s who we’re being, what we’re thinking, what we’re internalizing, what we’re believing in, how we’re moving forward, when we’re taking those actions, taking the steps, and creating what it is that we would love. Magic Wand Principle: It’s not only what we’re doing in our day-to-day life, it’s who we’re being, what we’re thinking, what we’re internalizing and what we’re believing in. I was diagnosed in 2000. The stem cell transplant was in 2001. You were married at the time? When I was diagnosed, I was dating the man that I was madly in love with and we were engaged. We were planned to be married and the diagnosis came, and with that, so did my hair. All of the things that happen when a person goes through that kind of treatment came along with it, side effects. That impact your relationship with him at the time? It impacted it in a brilliant way. The doctors told us in the beginning that for people who come in, even married couples, it allows the opportunity for a couple to grow stronger together and come out on the other side more sound, more together than ever. Yet many times it causes a split, a shift and a separation for many married couples. When the doctors shared with us that this is what normally happens, my husband made a decision then and so did I that the separation would not be our story; that we would grow together in this and become stronger in the midst of it. In the midst of what was going on the doctor said, “This has sometimes a negative impact on a relationship. People don’t always come through this. They might come through it physically, but they don’t always come through it relationally.” You guys made a conscious decision at that point. Did you have a conversation? Did you just look at each other? What was that moment like? I’m trying to bring myself back to that. It was a magical moment in connection because when the doctors said that, we left the office. We did look at each other, eye to eye, “Which way do you see this going?” We had a little wink with each other. When we left, we had a conversation about it, “What do you see here?” My husband said, “What I see here is that we’re going for this.” I said, “Yes, we’re going for it.” Not only did he step up, step in, lean in and support me in a way as if we were married, he was a superstar all along the way and instrumental in the conversation after we had that initial conversation about a relationship. He was with me every step of the way. When I would start to go down, he would be there to help get me up. When we had the conversation finally with the doctor, about a year and a half later, who said, “It had gone away, come back, go to an elevated treatment, gone away, come back, elevated treatment.” Here’s the interesting thing that I found after going through that process, is had you called me at any time during the way and asked, “How are you doing?” You would have gotten a response like, “I’m great. I’m well. We’re going for this. We know where we’re headed and all things are great.” Even though it was some of the hardest work I’ve ever done in my life. Through the process, what I would have also told you is, “If this doesn’t work, they have something else for me, and if this doesn’t work, they have something else for me.” What I noticed is that my attention was on and if it doesn’t work, then there’s something else they have for me. Standing in the middle of a parking lot, we stopped, and what my husband said to me was brilliant, “Are you going to buy in to what the doctor said or you’re going to create where you’re headed next?” It was in that moment where I had really seen for all that time I had been focused on there’s something else if this doesn’t work. The brilliant and magical moment of seeing, “There is nothing else there, so let’s take this pivot, take this direction, take this focus to where I would really love to be.” Because what I know is that my God’s in the miracle business, and even if he had told me there was no hope, zero chance, I would know that there would be a shot for me. My attention immediately went to a vision of where I would be when all of this was over. My vision that came immediately, the dream that was dreaming me, was a vision of being in Hawaii, and being with my husband, having fun, being healthy and being who I was meant to be, who I am meant to be, which is who I am today. Within two years, I had found my way to Hawaii quite magically. I didn’t make a trip to Hawaii. I found myself sitting in a Plumeria tree in Hawaii two years later from the very vision and it was the exact vision that I had created in that moment when my husband said, “Where are you going from here? Decide now, let’s take a peek now and let’s decide where we’re going.” In that moment, it wasn’t just Hawaii. I’d never been to Hawaii. It was the feeling of Hawaii. It was smelling. It’s as if I could smell the Plumeria. I had never even known what Plumeria was but that day in that parking lot when I was faced with which direction am I headed, I could see clearly, feel it, smell it, taste it, touch it. I could taste the saltwater. I could feel the sun on my skin. I could hear the laughter, fun, and the luau happening. I could see the dolphins playing, the whales breaching and in my heart, what I could feel was this, “All is well.” That was before I ever went through a stem cell transplant, through which is one of the hardest things I have ever done, through the regimen in which I was given for that stem cell transplant, and that is what my focus was. That is what my GPS was. That is what my vision was every day, every step of the way, through that process. How is it that you’ve used that experience going forward? I’m making an assumption here that something as so life threatening and life altering, and to come through the eye of the needle the way you did so gracefully, especially having your guide by your side. This somebody that’s stuck there, stuck with you and also gave you what sounds like great feedback in a difficult moment. How have you used that going forward? Has there been another opportunity to apply it in a moment where either there was some risk, some fear, but something that caught you off guard? I assume the cancer caught you by surprise. I was working with a coach and at the top of my game. 30 years old, heading up and then having that diagnosis that seemed to be out of the blue. I remember calling my coach that day and he said, “There’s one thing that I want to share with you that will make all the difference in the world.” I was scared. I was mad. I was irritated. He said, “Embrace this. Don’t fight it. Embrace it.” I thought to myself, “Are you kidding me? Embrace this?” He said, “I promise you there is goodness within this. I promise you there are gifts within this. I promise you that there is so much good for you in this, and your opportunity is to be open to see it and receive it.” From that beginning, that is where I was open to looking for what could be good in this. There is no such thing as a bad day as long as we’re alive, as long as we’re breathing. In all of this manure, there’s got to be a pony in here somewhere. What I found through the process and you’re asking, what did I glean from it? What did I take from it and how have I used it moving forward? The idea that there is no such thing as a bad day, as long as we’re alive, as long as we’re breathing. That’s why to come into this time with the breath of life, to know that there is no such thing as a bad day. One of my mantras now, how I use that now is we live to tell about it, then it’s all good. Even money problems, I’ve had my opportunities to see money or life problems or have challenges. It’s not as though we go through this and we’re never challenged again. If it’s about money, it’s not that big of a deal. If money can fix it, it’s not that big of a deal. When we’re talking about life itself, as long as we can live to tell about it, we’re okay. The idea that there is no such thing as a bad day and this idea of vision, where will we put our attention? To have that opportunity to see where I had been putting my attention, even though I was so positive, where was I focused? To see the power of focus, power of the vision and the power of walking in faith. There was so much to learn. The importance of family, of love itself and life itself, the richness, the blessings, the gratitude, just even of the breath. He was exactly right. I had reached the top within network marketing company and business and industry. Money was great. My health was back. Great relationship with my family and friends. I had this new lease on life and very soon there became a feeling within me of not really understanding it. Everything looked so good. Everything was so good, but there was this feeling within me that I wasn’t feeling fulfilled. There was almost like this sense of unfulfillment. It wasn’t significant. All this beautiful blessings that I have lived for and yet there was this feeling of, “I’m not loving my life. I’m just not loving my life.” This life that I had gotten a new lease on and it was in that moment where I was given another opportunity to pivot before I had to go back down the chute where I had just come from to get into a space and a place to realize, “I’m not feeling fulfilled. I’m not living, growing, becoming and loving my life.”I had heard this woman who I ended up working with, Mary Morrissey, she was at a conference and said, “The people who I work with, I wake up every day and they just go into their life and they say, “I love my life.” I was thinking to myself as I heard her, “That sounds pretty good. Maybe I could get to I really like my life,” but the idea that I could literally wake up, jump out of bed, “I love my life,” and I had been in that opportunity going through a stem cell transplant, being so grateful for it, and then come to another opportunity to pivot again. The interesting thing about the pivots that I noticed through my life is that in the beginning they were quicksand moments or felt hard to get out of, sucked in or really stuck. Then there were moments in which it was moving and almost felt like I was on a hamster wheel, but how do I get some traction? How do I gain traction? How do I move forward? Then going into opportunities where then it feels like I’m moving, but hitting a ceiling and now realizing that pivots, they don’t have to be hard. The more we pivot, the more we evolve, the more we elevate, the more opportunities we have to pivot into what we would love in our lives. So that ultimately we can wake up in the morning, come to the day, say, “I love my life. What’s on the agenda for today?” It’s like Christmas every day, birthday every day, loving life every day and in every way. Magic Wand Principle: The more we pivot, the more we evolve, the more we elevate. The more opportunities we have to visit into what we would really love in our lives. What’s one thing that’s a practice of yours? What’s a ritual or practice that you use to keep yourself grounded and reminded of all those amazing lessons in life that you’ve learned? There are a couple. One that I love so much is meditation. I love meditating, I love being, I love the opportunity to know that I am one with a source of force greater than myself and to simply be in the midst of that, to tap into the power within myself and to simply be in that, immerse myself in that in meditation. I love gratitude, I love moving, getting out there and moving. I love to walk, be in nature and connect. I want to thank you so much for spending time with us. It is no coincidence. I don’t think there are any coincidences. The words that you spoke, Mary is a friend of mine, it’s so great to hear those words because we’ve been sharing a practice. The ritual that we’ll end with is the ritual we remind people of that they get the opportunity tomorrow to wake up, pick up magic wand that you spoke about, and we wave that magic wand, let’s you and I take the opportunity to wave a magic wand so that everybody gets to wake up tomorrow, and by that physically, spiritually, metaphorically, to wake up to raise our consciousness. Just the opportunity to be a little more conscious tomorrow than we are today. What a blessing, what an incredible gift that would be to the world and to ourselves. Three pieces to the formula for how to begin a day using a morning ritual. First is to wake up, and in that waking breath, in that waking moment to appreciate how holy and sacred that moment is. Yes, because there will be people who are taking their last breath as well, but also how humbling it is to know that we’ve been given another day and there is an assignment for us. Whether we’re aware of it consciously, not seeking it, not whatever that is, that we can have the recognition and that awareness that there’s something special, there’s something meaningful in being given another day. Given and willing to receive it fully, and do something with it, even more importantly. Wake up, be in a space of gratitude and to stand up. What a blessing it is just to be able to put your feet on the floor and stand up, not everyone can even do that, but whether you’re sitting, standing, or lying down, that the first words, the first conscious communication out into the universe are these words, “I love my life. I love my life. I love my life.” Thank you for that reminder, Patricia. Thank you for your presence on The Conscious PIVOT, and everybody else have a beautiful rest of your day, and we’ll see you on the next episode. Ciao for now. This is so great because as some of you know, we do occasionally add on to a podcast when something special comes up. We were chatting about pivot and because you used the word so many times during that podcast, I thought you were teaching the curriculum instead of me. How did pivot show up for you, at least the book Pivot? This is the magic of life. This is what we get to live. I said, “Which book was it?” He said, “You had to have sent it because it says it’s from you, and the name of the book is Pivot.” I said, “No, I didn’t send you.” I think he said that there was something in there that said it was from me. He thought it was for me because I had the Amazon account. He said, “It’s right here.” He took a picture of it and it was this book called Pivot. He said, “Are you sure you didn’t send it?” I said, “I’m positive.” He said, “You had to have sent it.” I said, “No, I didn’t send it.” He said, “But it says that you sent it?” “No, I didn’t send it.” What was so interesting about that is that it was a time in his life where he was in the midst of a pivot, a major pivot in his life. One literally moving from one city to another, changing directions completely in his life and direction for his life, and what a magic moment that was. Fast forward that I had the opportunity to be with you at CEO Space. You were a keynote speaker that day and I had no idea who you were until you were introduced as the author of Pivot and then the opportunity for me to share with you how Pivot came into our lives. We could not have written that up. We could not have made that happen. We could not have orchestrated that ourselves. The fact that this is the magic of life, this is what we get to live, this is what we get to be immersed in. It is such an honor, such a privilege and such a pleasure. Thank you, Adam. Thank you for your work in the world. Thank you for being you. Have a beautiful wonderful rest of your day. I am a REALTOR®, a licensed broker, specializing in the sale and marketing of homes throughout Alameda County since 1985. I am a top producing agent, 2018 Immediate Past President of the 2200 member Oakland/Berkeley Association of REALTORS® and a Director of the California Association of REALTORS®. I was chosen “Realtor of the Year” by the Oakland Association of Realtors in 2005 & 2013. I was Chairperson of the Oakland Association of REALTORS® Professional Standards Committee for eight years, training agents to uphold a strict code of ethics. As a listing specialist working with homeowners who are selling their homes, I have put together an experienced team of professional painters, contractors, stagers, plumbers, electricians and landscapers who work closely with me to transform your home into a highly desired property in our current market. I am constantly taking advantage of the great educational opportunities offered by my company and my professional trade organizations to learn to use the latest technology tools being offered in the real estate industry. I can put these tools to work for you. I came to the Bay Area from New York City; an Oakland homeowner for 40 years. I attended Cornell University and Long Island University. I am certified by Pepperdine University as a trained mediator. Prior to becoming a Realtor I was a marketing professional in the advertising industry. Real estate was a perfect match for my expertise and experience. I have been successfully matching people and homes ever since. 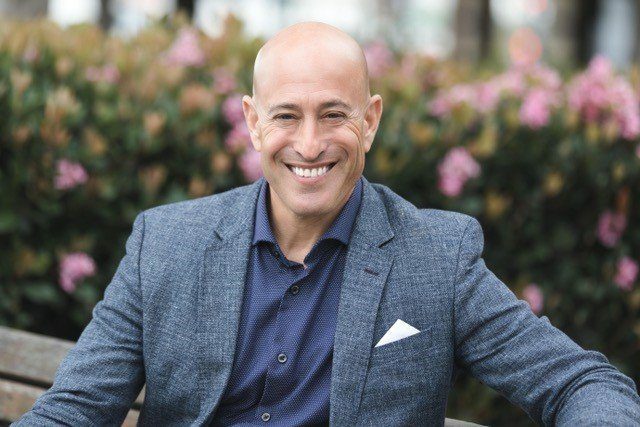 Raising my children in this part of the Bay Area along with my participation in community service has given me an ability to match clients and customers to the homes that will best serve them. I know the schools, the neighborhoods, the services and the benefits available and I am a valuable resource both for those new to the area and those who are simply changing neighborhoods. Representing well over 250 home Sellers, I understand how to present their homes to the marketplace for a timely sale at the highest price. If you are seeking a dedicated, full time real estate broker who understands the need to set high, customer centered standards, I look forward to working with you.